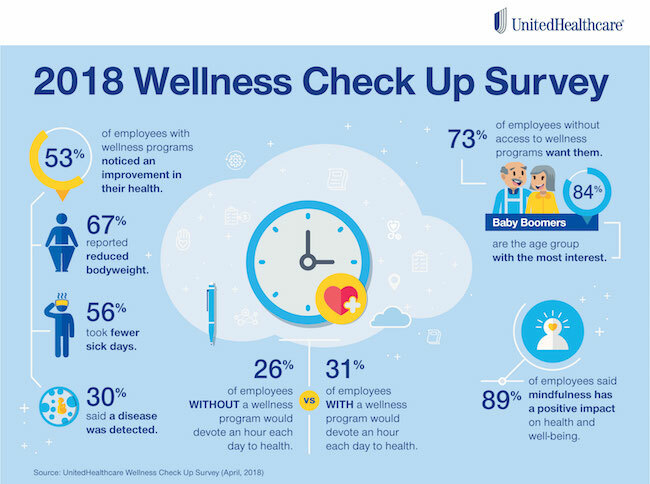 UnitedHealthcare recently published the results to its annual Wellness Check Up Survey. The results provide a number of insights on the value of wellness programs for employers. Most notably, 62% of employees with wellness programs felt their wellness program increased their productivity and 56% reported having taken fewer sick days because of their program. Although these benefits may not have a direct financial impact (reduction in medical expenses), loss of business efficiency and operations as a result of lower productivity or preventable absenteeism do impact the profitability and success of all companies. More and more employers recognize these benefits, which has encompassed the value on investment (VOI) perspective for employee wellness programs. Check out Wellable’s Whiteboard Wednesday session on VOI vs. ROI (return-on-investment) to learn about how employers are (and should) shift how they measure employee wellness program success. The survey also found that more than half (53%) of employees with wellness programs noticed an improvement in their health, with 67% reporting a reduction in bodyweight. For employers that are still not convinced of the benefits of wellness programs, employee demand for these programs may be compelling enough to change their minds. According to the survey, 73% of employees without access to wellness programs want them, including 42% who are “very interested.” For many of these individuals, they may choose to leave or stay with an employer based on whether or not they have a program. This is further evidence that employee wellness programs continue to become must haves for successful companies, shifting from a “luxury” benefit only offered by few employers. 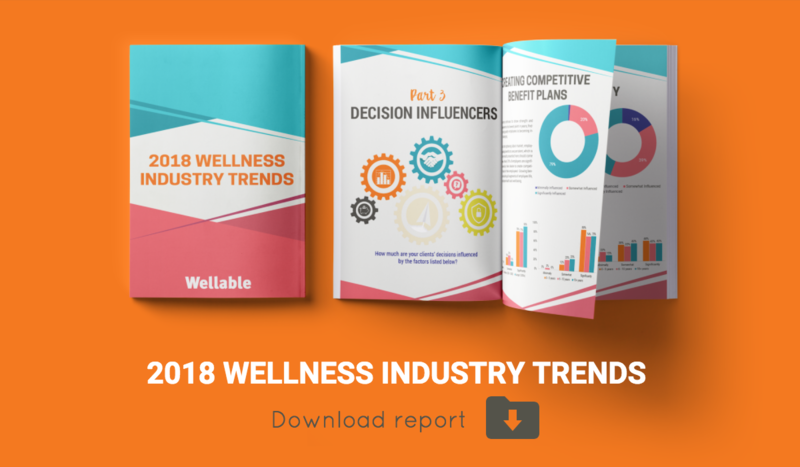 By investing in wellness programs, employers are in a unique position to drive engagement and create healthier, happier and more productive workforces. For employers that are thinking about expanding their wellness benefits beyond physical activity and nutrition programs, the survey highlighted an area of investment that should not be ignored. The vast majority of employees (89%) said meditation, or mindfulness, has a positive impact on a person's overall health and well-being, including 41% who believe such activities can have a “significant impact.” The value of and demand for mental well-being makes a strong case for employers expanding their wellness programs to cover this facet of health. Also, more than twice as many employees own an activity tracker today than in 2016 (27% vs. 13%), comparing the results of the new UnitedHealthcare survey to an earlier one. This means that a growing number of employees are investing in digital health. Employers should support this consumer movement and demand for well-being at their companies, replacing legacy technologies with modern, engaging solutions that employees want. The Wellness Check Up Survey included 630 responses from adults ages 18 and older and employed full time in the continental United States.